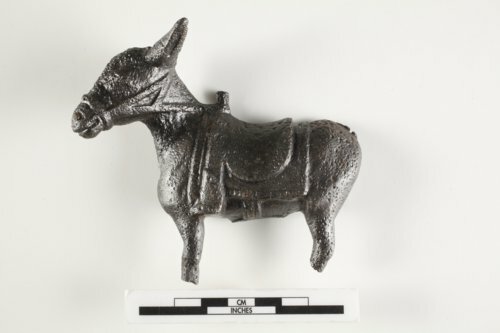 This toy donkey was excavated in 1966 at Fort Hays in Ellis County. It was cleaned using electrolysis which passes an electrical current through a liquid solution to separate the rust from the artifact. Only this half of the toy was found.